A smart and stylish solution to house and protect your Bridge or Compact System Camera. GEM Designer Compact System / Bridge Camera Case specially designed not to look like your everyday camera case. Internal dividers to secure your camera and separate it from your accessories. Main Compartment Dimensions - Height 155mm, Depth 75mm, Width 230mm. At GEM we listened to our customers requests, needs and suggestions, and these were the backbone for the design for this new case in our range. On a lot of occasions when our customers are using their cameras, they are at a function such as a friend's wedding, or maybe out for the day, getting dressed up for the occasion. So GEM has designed a case specifically to compliment this kind of situation. 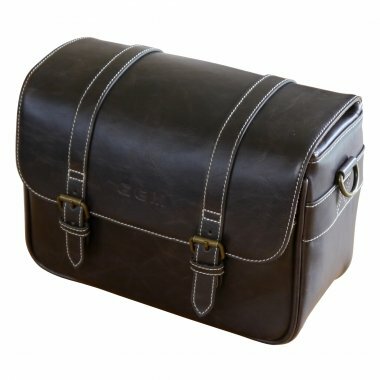 At the end of day, no matter what the occasion, you will still require a case that is practical and will protect your camera, and that is just what GEM has done, building these requirements into a fashionable camera bag. This case is specifically designed for medium sized cameras such as a Compact System Camera or Bridge Camera. In fact this particular case is ideal for carrying your camera and limited accessories in together such as a spare lens, additional batteries, memory cards etc., obviously subject to the dimensions of your camera and the accessories. The internal dimensions are shown on this page under Key Features. To protect your camera, the case is lined with a soft material with dividers that can be adjusted to hold your camera in place and separate your camera from the accessories carried. 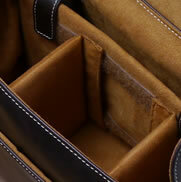 For added practicality there is a neat internal pocket that will hold a range of small tablets. 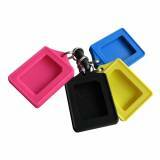 In addition there is a small front pocket on the case that can be accessed quickly, therefore ideal for holding items such as tickets, passes, etc. 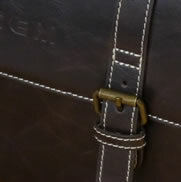 This case is also supplied with an adjustable shoulder strap. In summary this designer case is sure to please through its thoughtful design and excellent quality. Stewart September 13 My Olympus Pen E-P5 fits perfectly into the case even with the 14-42mm lens and vf-4 viewfinder fitted and still leaves room for another lens to be carried. A first class case at a reasonable price. Roy Francis December 14 First class service, received the very next day. Very good quality. Well worth the money. Ben K November 14 Great product, very stylish and robust, great customer service as well, can't fault them.